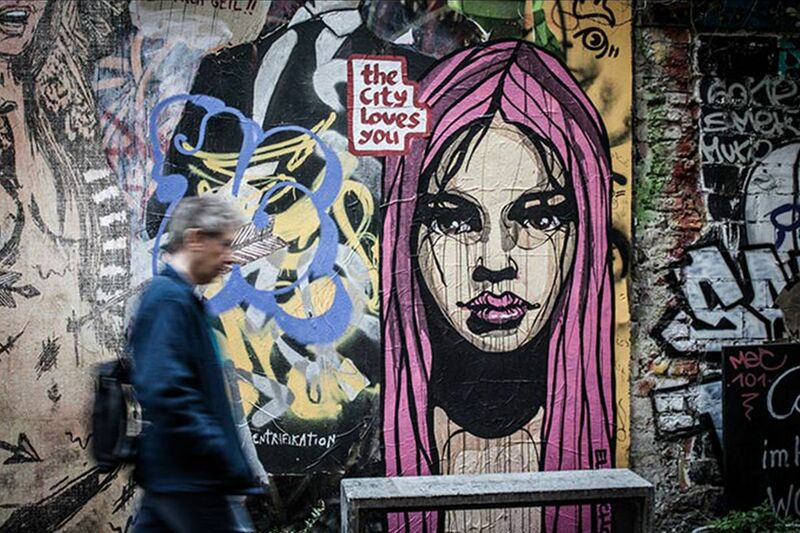 In a completely unique, mesmerizing way, a special bond is created between the street artist and the city that he is based in – and so it happens with El Bocho and Berlin as well. The streets of the city have hosted much of El Bocho’s work so far, however they don’t seem to be saturated with it just yet. 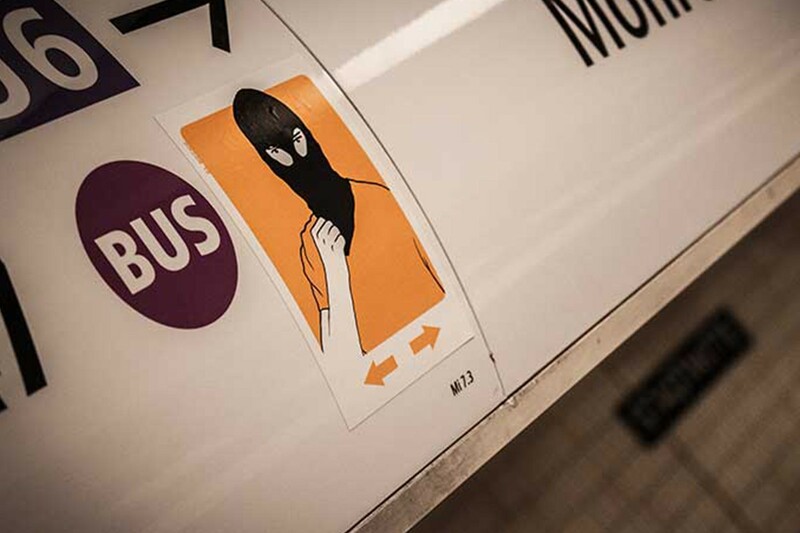 Thanks to the humorous, engaging nature of his art, his paste-ups, stickers and posters always find a brand new way to get through all the background noise. El Bocho describes himself as an observed observer, which is possibly one of the best ways to define the role of a street artist. He speaks about how important it is for him to work outside the all-too-familiar art scene, and to reach a broader audience, and not just the museumgoers or passionate art lovers. The way that the audience reacts also matters to him, and it gives him inspiration for future works, which is a good way to keep in touch with the audience at all times. Let’s see how Berlin inspired the artist, and how he returned the favor. 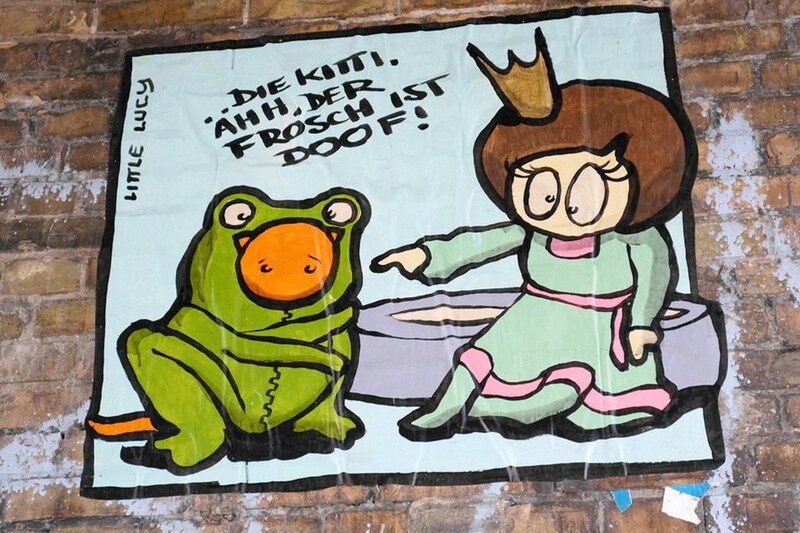 In 1997, when he started making graffiti, El Bocho used to live in Frankfurt. His love for the streets emerged from his previous experience as an illustrator and a typographer. El Bocho was certainly a talented graffiti writer, no question about that, but after a while he realized that his major form of expression is going to be focused on something else. 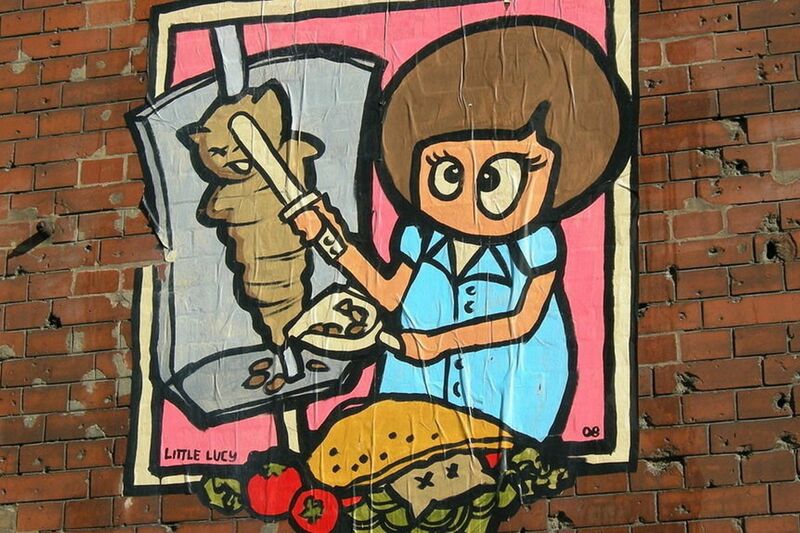 Inspired by a character from a 1970s Czech TV series, he started making paste-ups which depicted the Little Lucy doll. 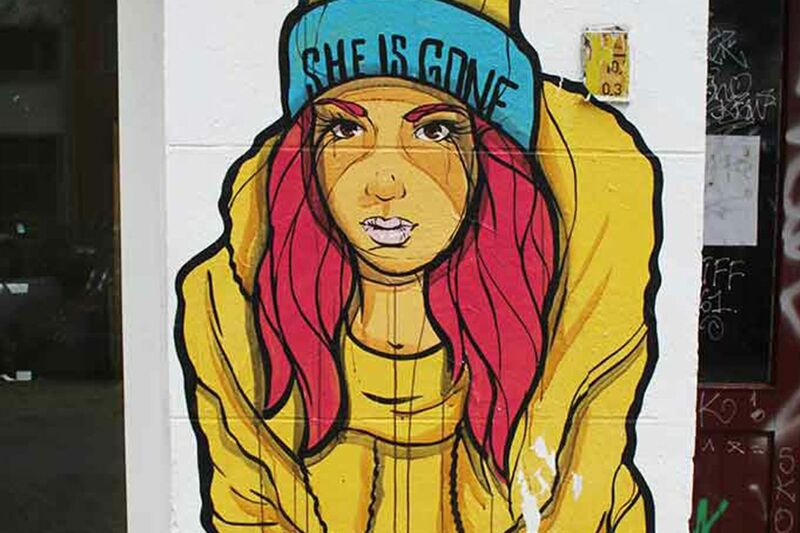 In addition, his switch from graffiti to other sub-genres of street art coincided with his resettlement from Frankfurt to Berlin. 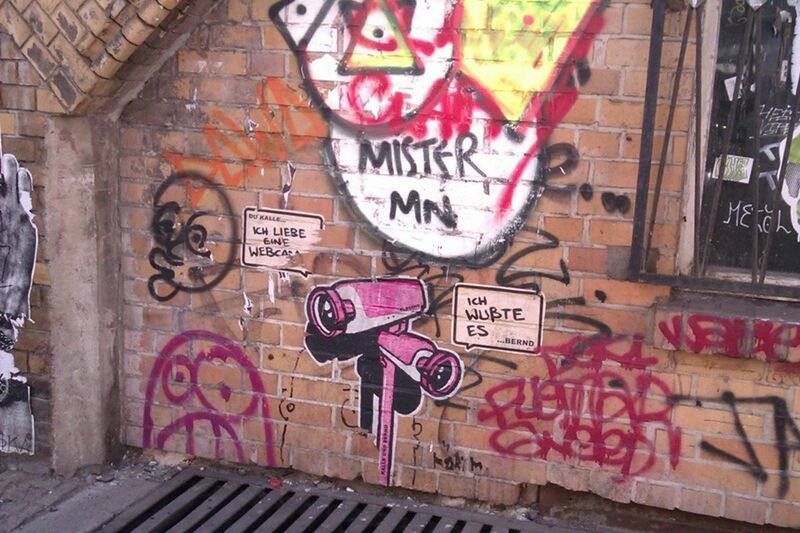 Because of that, the people of Berlin also know El Bocho under a quirky pseudonym – Little Lucy. The humor that arises from the fact that a young man is comfortable with being called Little Lucy, is the same humor you’ll find in most of his witty works. It’s often in between controversy and innocence, presenting bizarre ideas, in a completely harmless manner, and Little Lucy is a perfect example. Her main occupation is finding different ways to get rid of her cat, which is definitely not what the Czech cartoon was about. This appropriation of the character was even embodied in a book, titled “Little Lucy – the Berlin street bugaboo”. It’s as plain as day that El Bocho has a wicked sense of humor, but all of that woudn’t be so special if he didn’t have a soft side as well. His other quite famous series is called Citizens, and it usually depicts women who have romantic thoughts. 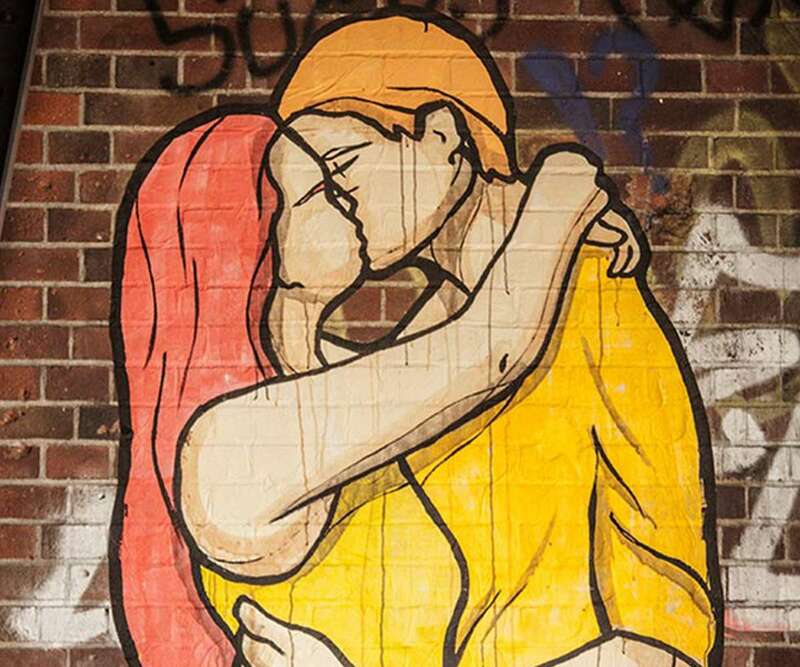 These people are in love with their city – Berlin. So even though El Bocho is a bit of a street bugaboo himself, just like Little Lucy, he is also well aware of all the things that really matter. 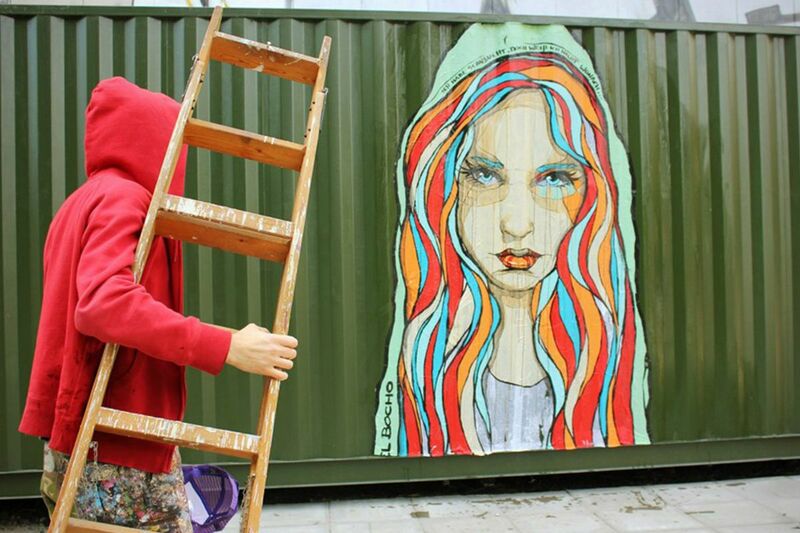 El Bocho’s Citizens are sometimes up to 3 meters high and wide, and every piece that he makes is an original. 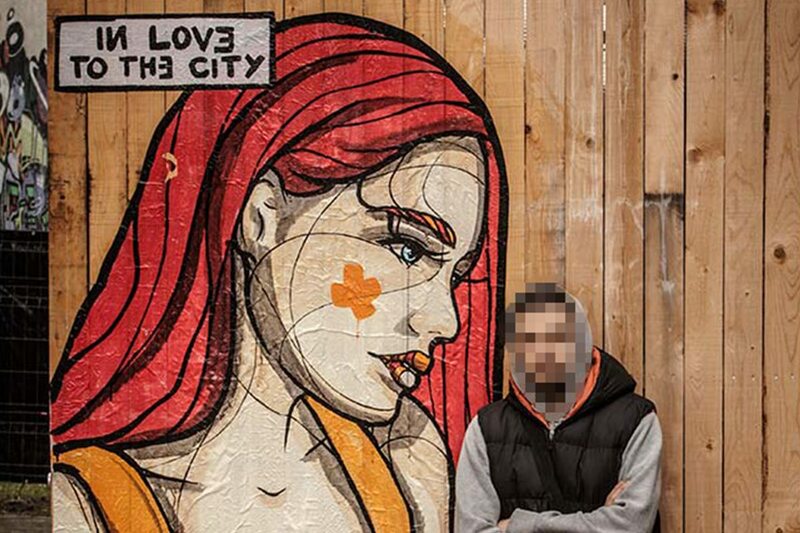 Each of the Citizens of Berlin has their own location in the city, and tells a different story, subtly translating El Bocho’s own feelings. Beside Little Lucy, and the Citizens from the famous series, you might come across Pete, little chicken which seems to face reality with a lot of trouble. The yellow character is often accompanied by speech bubbles, saying “Help” or “Warum Ich” (Why me). 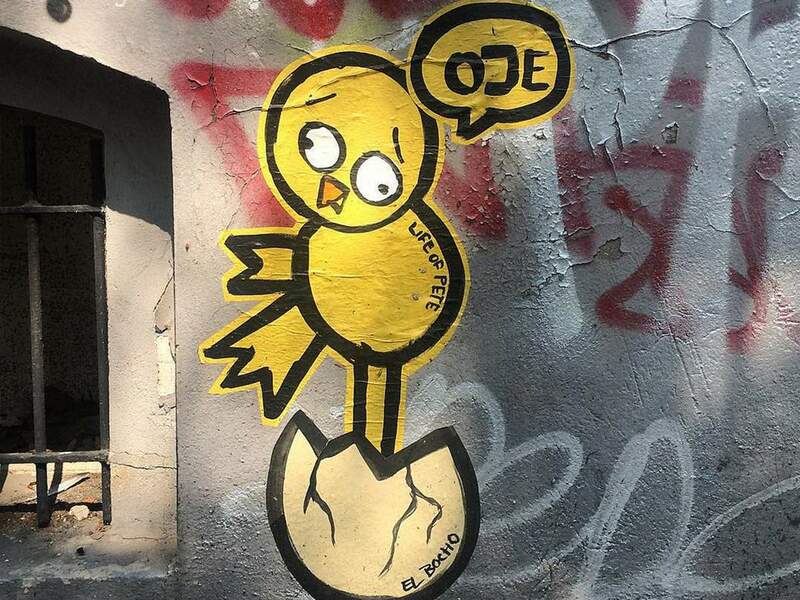 El Bocho places cracked egg shells in front of these paste-ups, apparently trying to illustrate the chick’s disappointment with the world that he was born into. 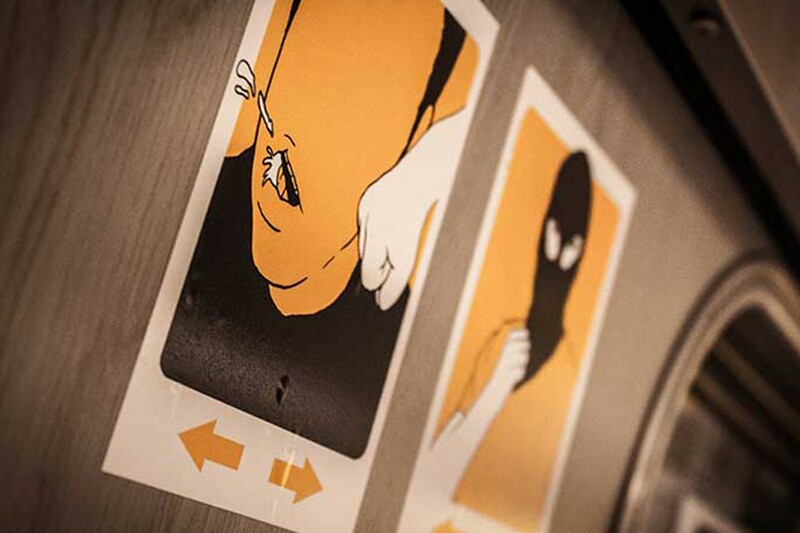 You may as well see some of El Bocho’s stickers or posters. and perhaps you may not even recognize at first that they were made by him. That’s why you should scroll down some more, and take a look at the great things that he did in Berlin, the famous, and the lesser known ones.